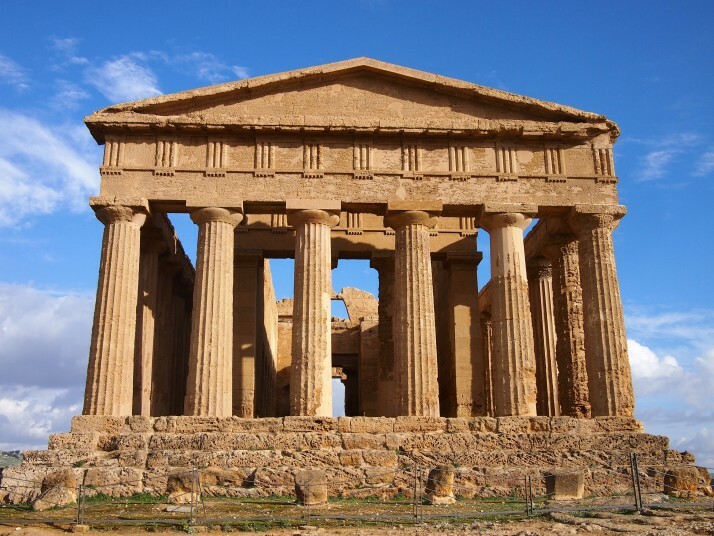 Agrigento is a small town on the south-western coast of Sicily. 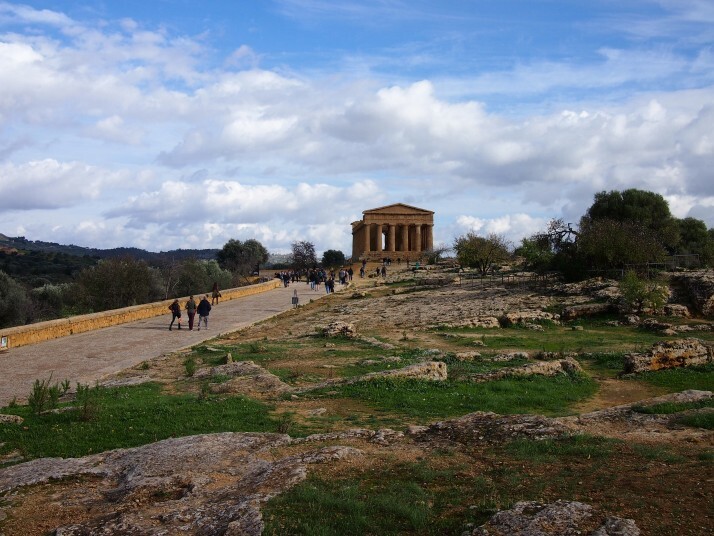 It’s quite a distance from the island’s other tourist sights but definitely on the tourist trail, and well worth the trip for its star attraction, the remains of the Greek city of Akragas. 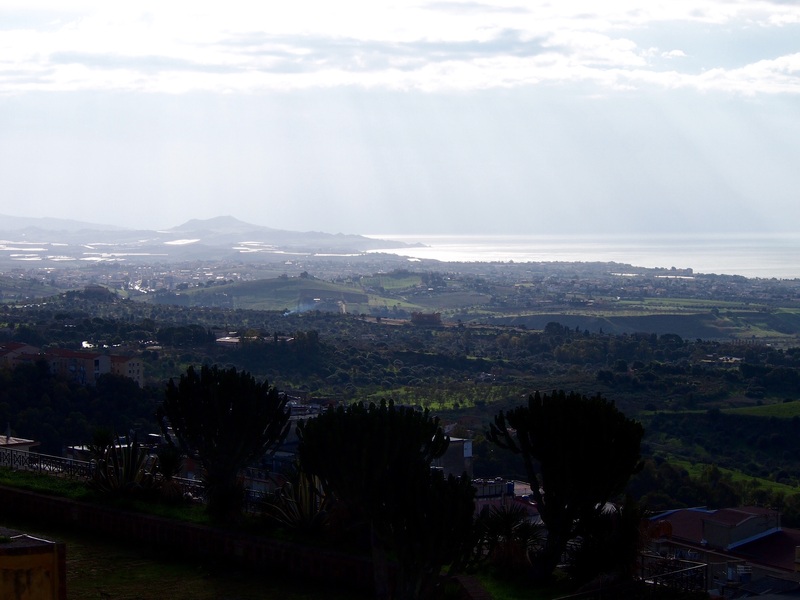 Founded in 582BC it was one of the most important Greek colonies on Sicily. In English it’s commonly known as the Valley of the Temples although it’s not clear why as its Italian name is Collina dei Templi which translates as ‘Hill of the Temples’ and indeed the temple remains are arranged along a ridge. The bus driver unhelpfully drove right past the sight even though 80% of his passengers were clearly tourists, and so we had to walk back up the road for 15 minutes to get to the ticket office. There was a definite cold snap in the air when we visited but we were fortunate to have bright sunshine (and gloves) for our day of exploring. First we explored the western temples starting with what would have been the biggest, the Temple of Olympian Zeus. 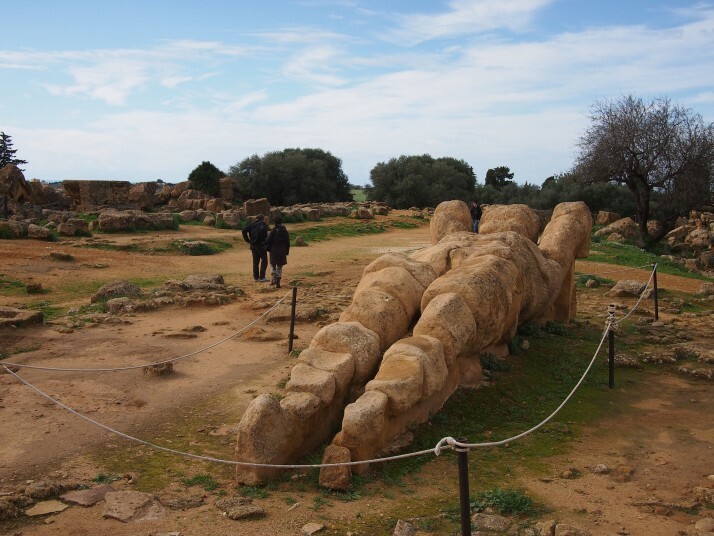 This huge temple was 113m by 56m (almost the area of a football pitch) and was not even completed before the city was sacked by the Carthaginians in 406BC. Its stones were raided for use in later constructions right through to the 18th century when some were used for building the nearby port of Porto Empedocle. Because of this, it’s quite hard to imagine how it would have looked. The most interesting features of the temple which can still be seen are eight huge figures of Atlas which supported part of the structure. Several of them have been reconstructed (lying down) and, although they are badly weathered, you can still make out their arms and legs. Further west is the Temple of Castor and Pollux. The temple would have had six columns along the front and back and thirteen down the sides. Its north-western corner was reconstructed in 1836, although apparently somewhat unreliably as they used features from different ages. 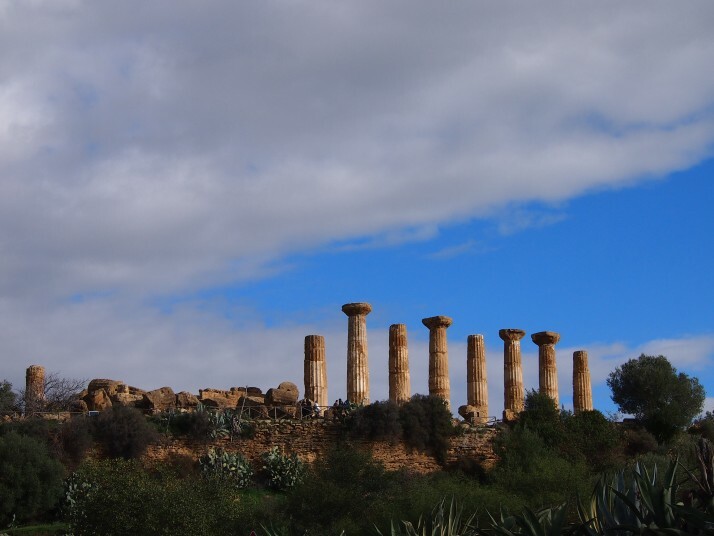 Despite this these four pillars are now an emblem of Agrigento. The land pitches sharply downwards next to the Temple of Castor and Pollux. This was the city boundary and during Greek times held a reservoir of water. 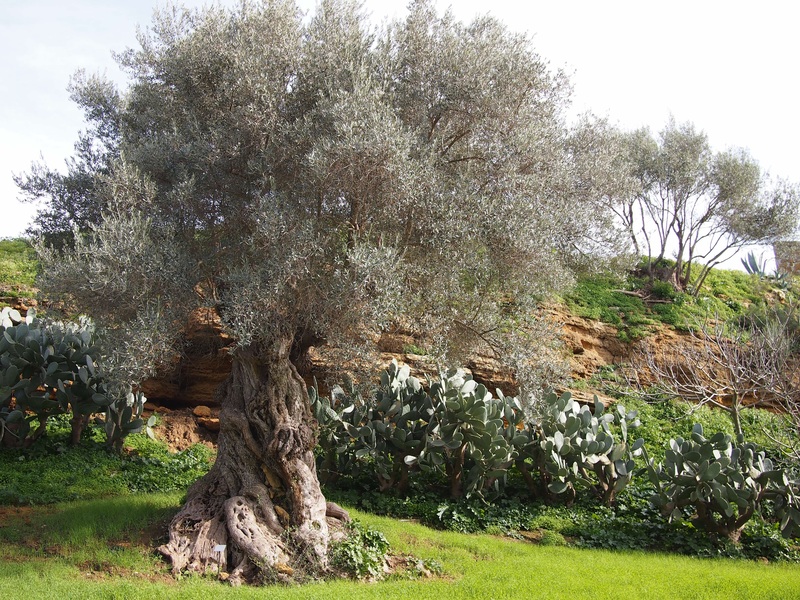 It was filled in around the 2nd century AD to become fertile agricultural land. Known as the Garden of Kolymbetra, nowadays it has been restored by the Italian equivalent of the National Trust and is a wonderful citrus orchard kept using traditional irrigation and farming techniques. 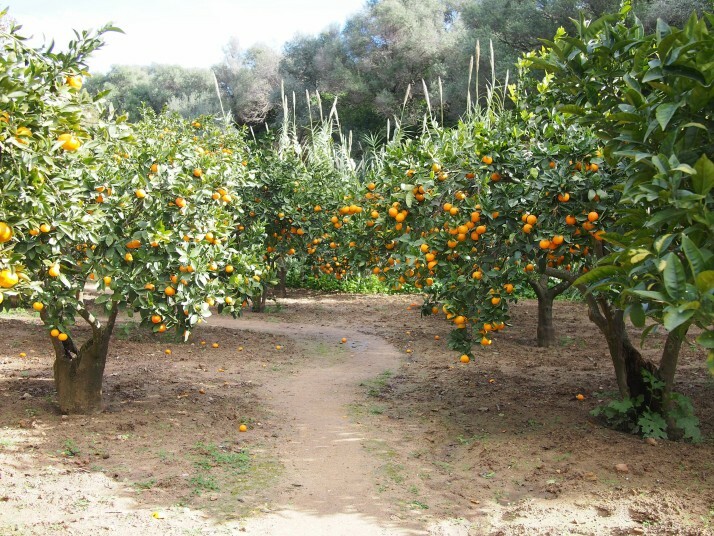 We loved wandering through the trees and looking at all the different citrus varieties, familiar ones like orange, lemon, mandarin and grapefruit and unfamiliar ones like the knobbly citron (an ancestor of modern lemons) and the fragrant bergamot orange prized in perfume-making. We took to scratching the fruits’ skins and sniffing to help us identify them. 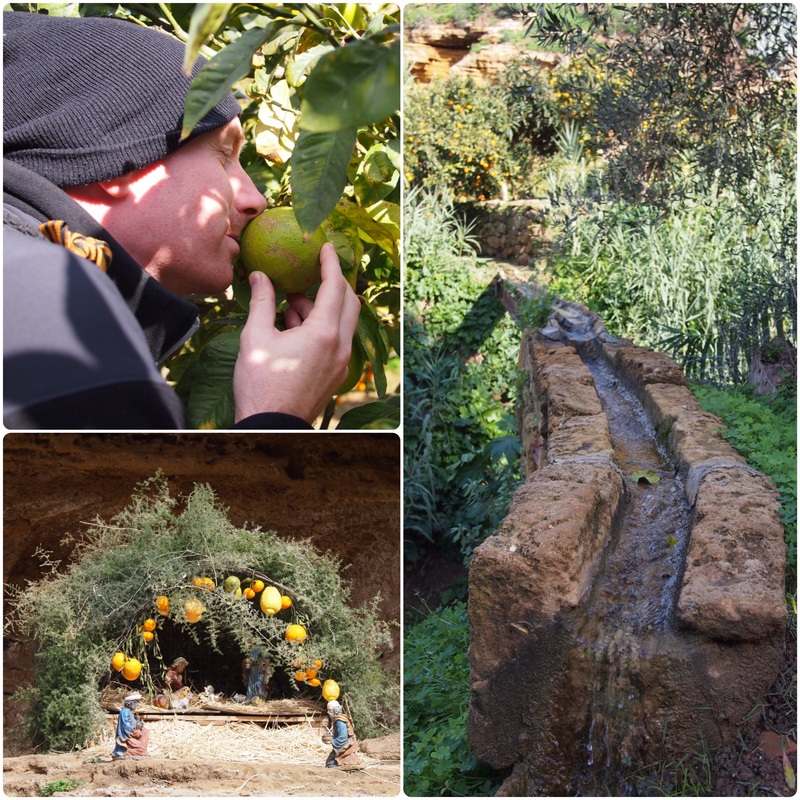 If that sounds a bit naughty, it’s nothing compared to the Italian visitors who were picking and eating oranges, discarding the peels as they went despite the signs forbidding it! 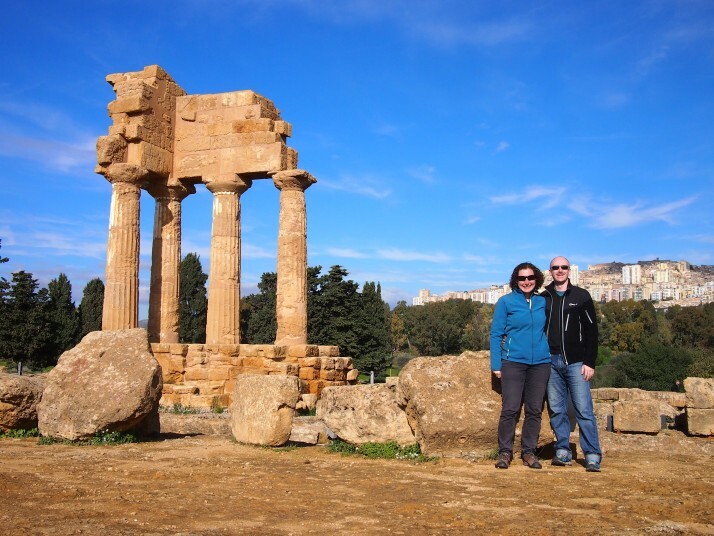 Making our way back to the ticket office and the eastern area, our first stop was another Doric style temple and the most ancient one here dating to the 6th century BC, the Temple of Heracles. As with many of the temples, reconstruction work to put up the row of eight columns was done in the 1920s on the instigation of an Englishman who settled in the area, Captain Alexander Hardcastle. In 210BC the Romans conquered the area and changed the name to Agrigentum. Under their rule, the city was again prosperous and churches and cemeteries were built on the Collina dei Templi. 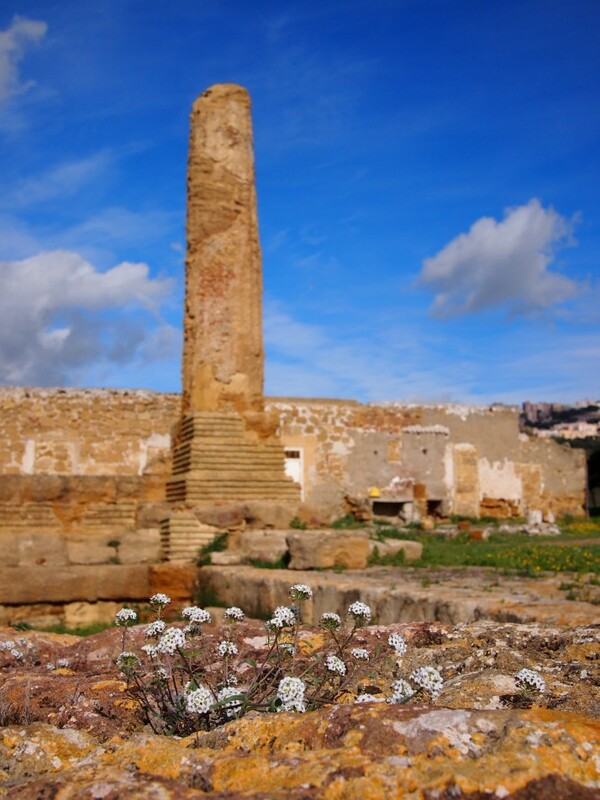 In the centre of the eastern complex is the incredible Temple of Concord, one of the temples which was converted into a Christian basilica. It is amazingly well preserved and although, unfortunately, it is not possible to enter, you can still see the walls of the inner room, original apart from the arches cut by the early Christians. Walking further east we passed the remains of tombs cut from the rock, another legacy from the site’s Christian heritage. At the extremity of the ridge is the Temple of Juno. 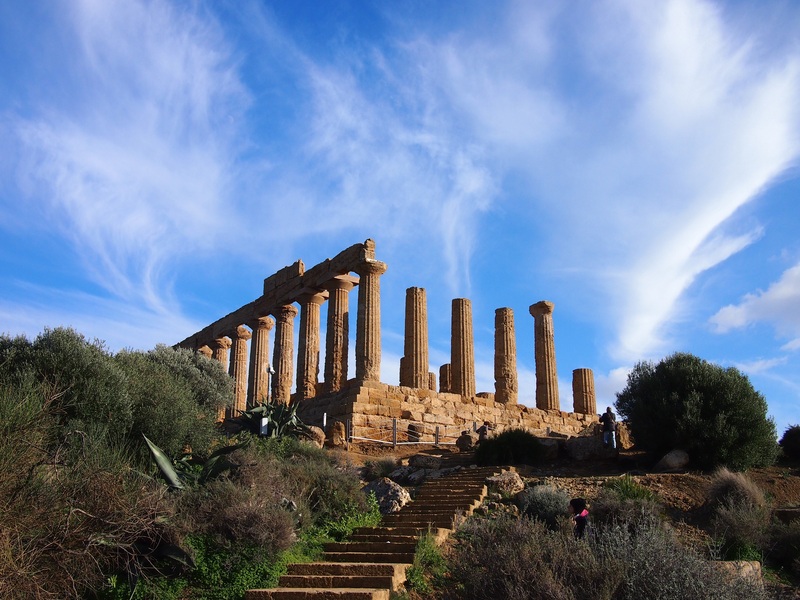 This entry was posted in Places and tagged Agrigento, Italy, Sicily, temple on January 7, 2015 by Julie. What is 5 + 27 ?